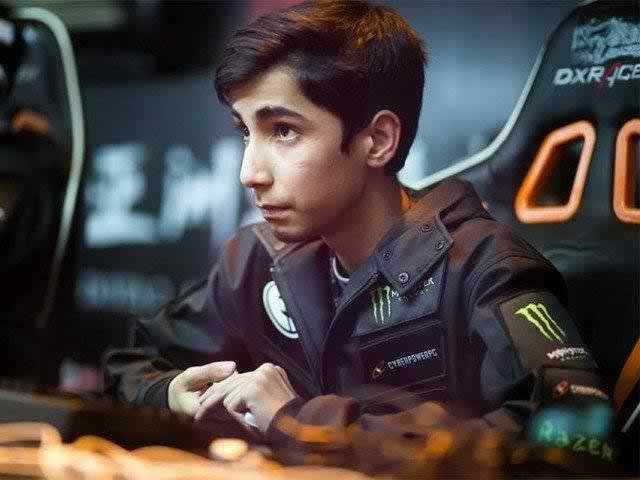 The 2016 International DOTA 2 Championship came to a conclusion on Saturday and Pakistani child prodigy Sumail Hassan’s team Evil Geniuses finished at third position winning $2 million. Chinese team Wings won the championship taking home $9.1 million from a total prize pool of $20 million, the largest in e-sports history. Started playing at the age of seven, Sumail rose to fame after an exceptional performance at 2015 DOTA 2 Asian Championship and the 2015 DOTA 2 International Championship leading his team to claim both titles last year. Originally from Karachi, Pakistan Sumail moved to Illinois to play to fulfill his dream of becoming a professional DOTA player. Only 17 years old, he is one of the youngest professional players in the game. His team, Evil Geniuses, which held the title of the championship, last year, was disqualified from a direct invite to the championship which meant the team had to make their way through open North American qualifiers and North American regional finals to get to the main event. Evil Geniuses reached the semifinals where it had to face the North American team Digital Chaos. The game between the two boiled down to a last minute base-race which Digital Chaos won beating Evil Geniuses 2-1 crushing their dream of becoming the first ever team to win an international title twice. This article originally appeared on Polygon. 0 Response to "Pakistani prodigy's team wins $2 million at 2016 DOTA Championship"